With an unobstructed view of the Jumeirah Lakes Towers and Dubai Marina, the residents of Jumeirah Islands enjoy a unparalleled view of the high-rise towers. 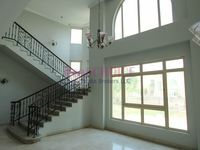 This community is consideded premium and the villas that make up Jumeirah Islands live up to the bar. Jumeirah Islands is a luxury villa development which consists of 40 islands set in 200 hectares of man-made lakes. 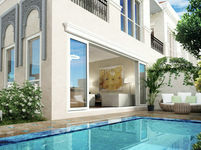 Each of the 736 villas in Jumeirah Islands has a private pool, garden and have between 4 and 5 bedrooms per unit. 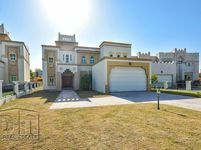 Jumeirah Islands consists of large villas inhabited by people that have achieved great success. You won't find many people out and about in Jumeirah Islands, and the roads in the community are always quiet. 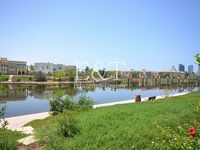 There is a sprawling network of pathways and bridges spanning the length of Jumeirah Islands, connecting the different islands on both sides of the community. This mostly goes unused, but it is a great place to go jogging to take in all the lakes and fountains in the area. A shopping centre, club house and leisure facility, and a gym make up a few community locations where basic needs can be fulfilled. 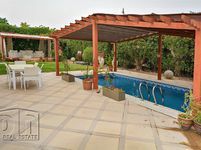 There are no public pools or barbecue areas, but it is not necessary because each home comes with a pool as standard, and plenty space in the garden for private barbecue areas. 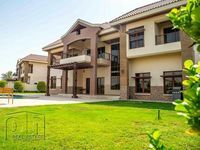 You won't find any hangouts in Jumeirah Islands as the residents in this community value exclusivity and privacy. This is a ‘secluded’ community in that there is no traffic and very little trough fare. The only people in the community are residents, and this makes the community very safe. There is a lack of good dining options and things to do within the community. For good food, residents will have to drive into JLT or Dubai Marina.